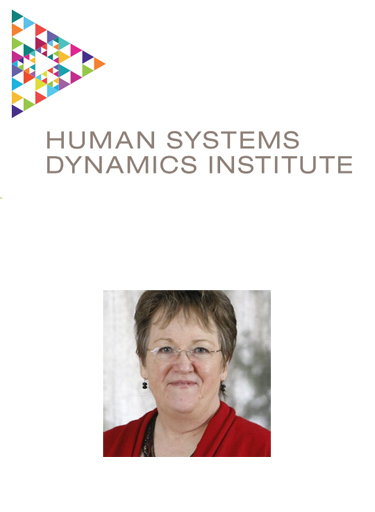 Dr Glenda Eoyang, founder of the Human Systems Dynamics (HSD) Institute will is joining us in South Africa in March 2018. Many people recognize the complex nature of change today, but few can help you make wise choices in the moments of chaos. Human systems dynamics (HSD) provides practical ideas and tools to help you thrive in complex change. We draw lessons from complexity science and from decades of successful practice in complex realities. In these two Adaptive Action Labs you will practice simple and powerful HSD tools. You will transform challenges of complex change into opportunities for agile action. Adaptive Action Labs invite you to bring your most complex challenges. 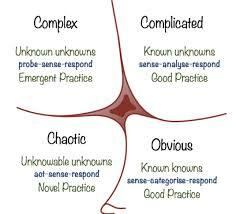 You will apply complexity theory to help you tame your most wicked problems. Simple, practical models and methods are based in the praxis of human systems dynamics (HSD). Your guide will be Dr. Glenda Eoyang. Glenda. She is the founder of the field of HSD; leader of a world-wide network; and master teacher, researcher, and practitioner. Special discounts are available for NGO’s, academics and SAODN members. Feel free to email sonja[@]morebeyond.co.za if you need more information or require support making a corporate booking.